National Novel Writing Month – I’m participating!! One of my first “art” assignments at University was to create the worst painting I possibly could. The graduate student who gave us the assignment explained that we should push ourselves, try new things, and do everything within our power to make the most terrible piece of art we could imagine. Some students created abstract paintings with excessive texture, others made collages out of magazine clippings and Polaroids. One student’s tongue-in-cheek humor prompted him to paint a delicate rose with drops of morning dew…something you’d find in a commercial gallery on a major street in some generic tourist destination. Surprisingly, when we all came together for the group critique, each of us fell in love with at least one painting in the studio. I can’t remember the grad student, or even what I created for the assignment, but the lesson has stuck with me over ten years later. 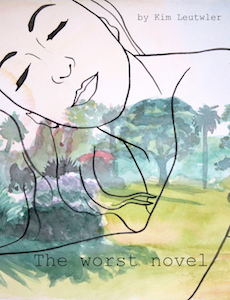 In celebration of National Novel Writing Month, I will be participating as a novelist and will attempt to write the first and worst novel of my month-long writing career. I love NaNoWriMo’s mission to use writing to make the world a more creative and vibrant place. As someone who loves to read but is averse to writing, I figure that attempting to create something truly terrible will free me up to experiment and not take my work too seriously! Will I create something glossy and palatable to the masses like my tongue-in-cheek classmate? Will I use the power of appropriation, taking excerpts and styles from existing writers to create a literary collage? Or will I try my worst to make a huge gooey mess and have a bit of fun with it? I’m betting on all of the above. 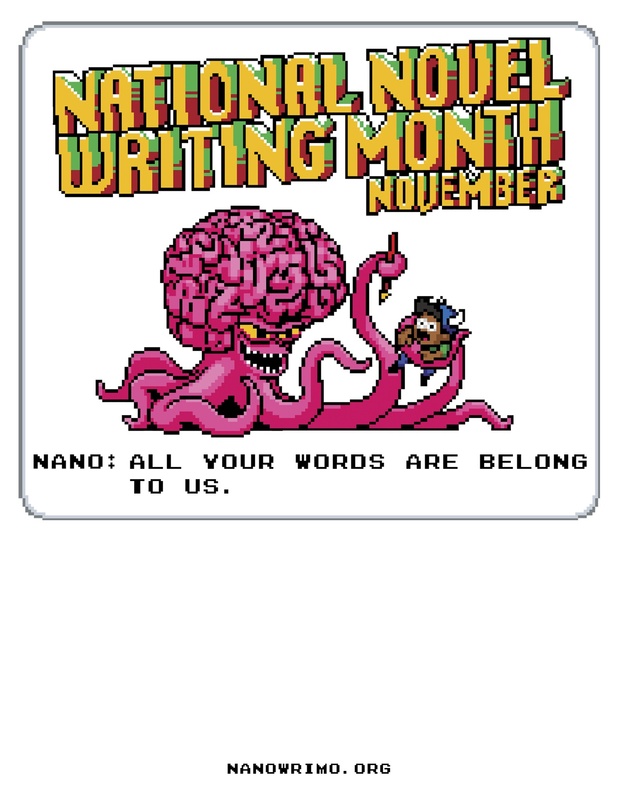 For the month of November, 10% of my original artwork sold will be donated to NaNoWriMo.org. The funds will go toward helping the organization run their Young Writers Program, and Camp NaNoWriMo.